Photo Booth Private - JCreativeStudio, LLC. Automated photo booth kiosk for your guest to express themselves while their photo taken. Guests use the touchscreen to start the photo taking cycle and retrieve their prints at our media station. Our Custom Professional Photo Booth has a modern open-air look with your choice of a solid backdrop color or customized branded backdrop for your event. Since our professional photo booths do not have any sides or curtains, your guests are able to view the show or spectacle created by others posing for their photos. Just think of it as a red carpet like photoshoot. 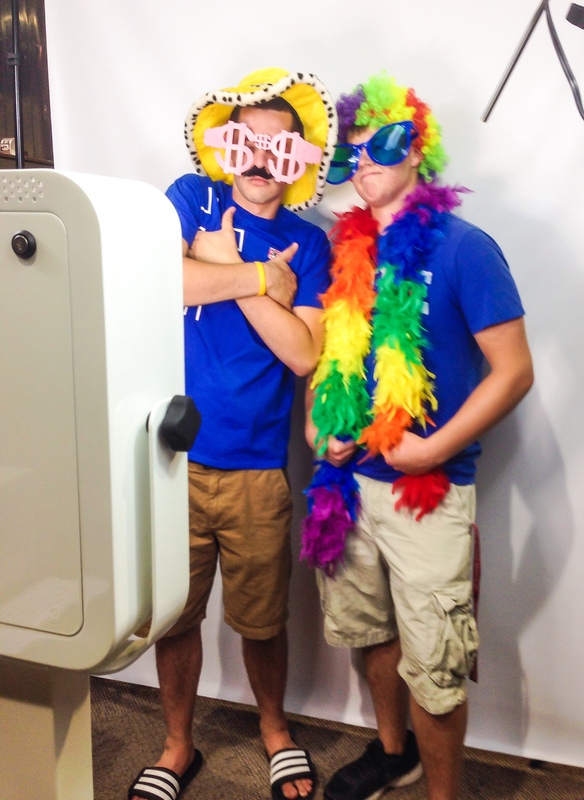 All of our custom professional photo booths are staffed with a full time professional photographer. Our photographer is there to help position and frame the shot before the photo is taken.